This weekend, we set off for a 3 day trip to Belgium. 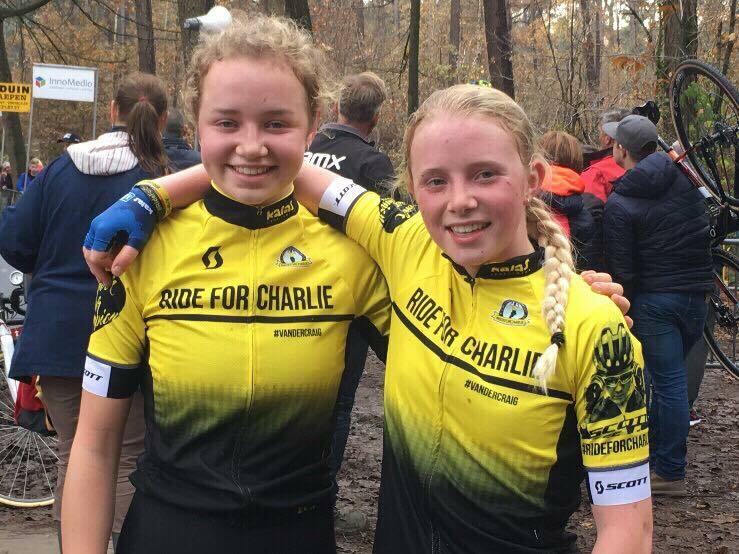 Thanks to Ride for Charlie, we were given the opportunity to follow in Charlie’s footsteps and compete in cyclocross races in Lichtaart and Hamme, Belgium. 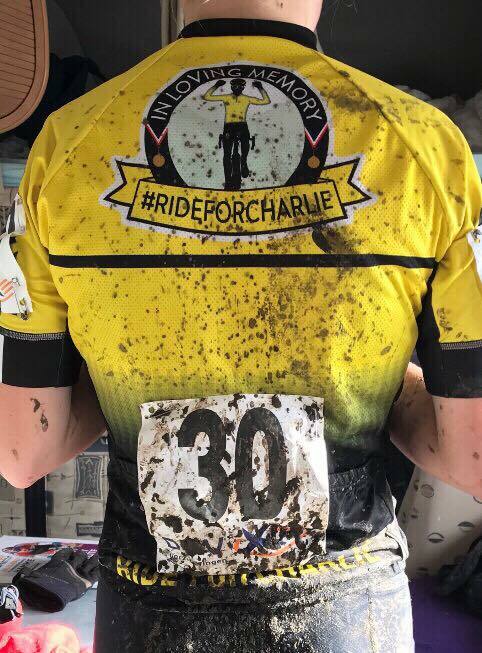 This time last year, we came to Belgium to race alongside Charlie, so it was with mixed emotions that we returned in Ride for Charlie colours. Before the trip started, we had been in touch with the Ride for Charlie fund and outlined our plans. Also before we left, we had to buy “calendar cards” (Belgium races required youth riders to log each time they race) and register for races using the Belgium Cycling website. We also had to arrange Eurotunnel and camping for the motorhome. (ok….Dad did all this!) We finished school early on Thursday to begin our weekend away. Arriving in Belgium late on Thursday night. After a nice lie in, (whilst our friends were at school!) we practiced the course in Lichtaart on Friday, for the race the next day. Saturday was the first day of racing. We were honoured to be on the start line representing Charlie, in the Ride for Charlie jerseys. 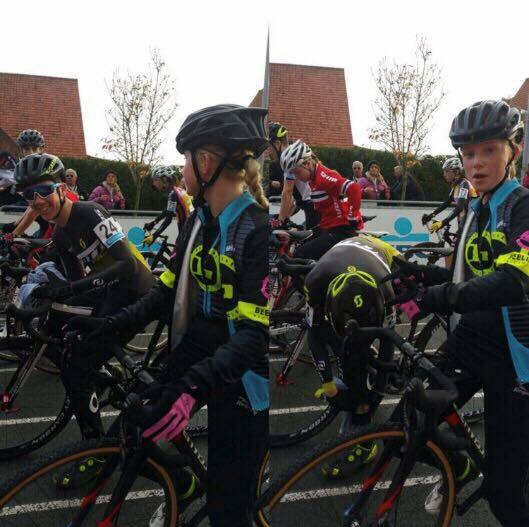 It was an all-female race, of about 40 riders from Elite down to Youth. The course was technical and sandy, but with Charlie motivating us, we managed a 1st (Maddie) and a 5th (Anna) in the U16’s category. Maddie was proud to wear the Ride for Charlie jersey on the top step of the podium. That evening, we travelled to Hamme, in preparation for the DVV trophy the next day. 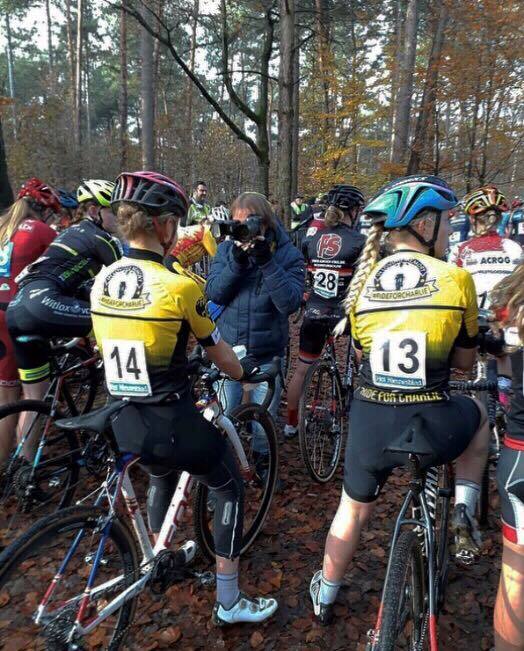 After the overnight stay in Hamme, we woke up early for our race at 10am. The course had muddy corners and technical sections which made it fun and challenging. 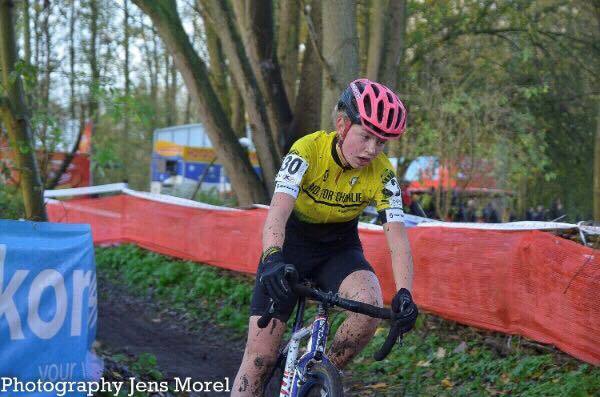 We started alongside the u16 boys this time, which was the same arrangement as last year when Charlie and Maddie had raced at Ruddervoorde. We came away with 1st and 2nd u16 girl. The whole weekend and experience was amazing and we learnt a lot from it. It was very special, knowing that we were racing in Charlie’s name, and we hope we made him proud. 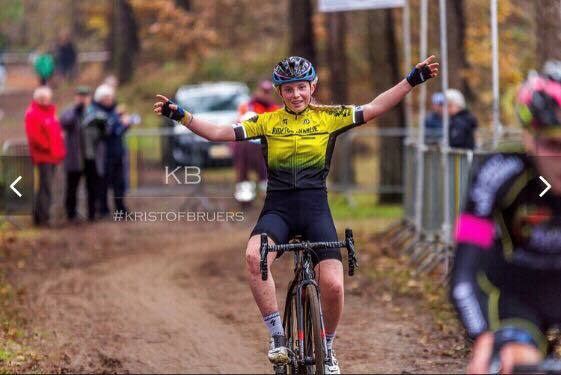 We are honoured to be the first people to represent Ride for Charlie in a Belgian cyclo-cross race, and hope that our story encourages many more people to follow his dreams. We would like to thank Ride for Charlie so much for this opportunity.